Warm and comfortable fleece, it can be worn as a mid layer or by itself. 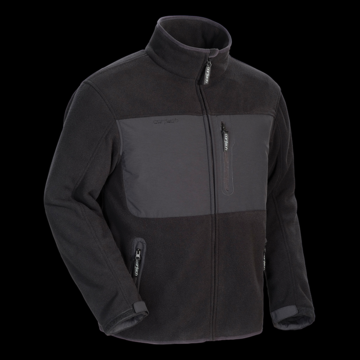 • Warm and comfortable fleece and Taslan outer shell. • Full front zipper placket. • Can be worn by itself or as a mid layer. • Two hand warmer pockets and one vertical map pocket. • Adjustable hook-and-loop fastener cuff. • Sleeve and chest mesh lining.